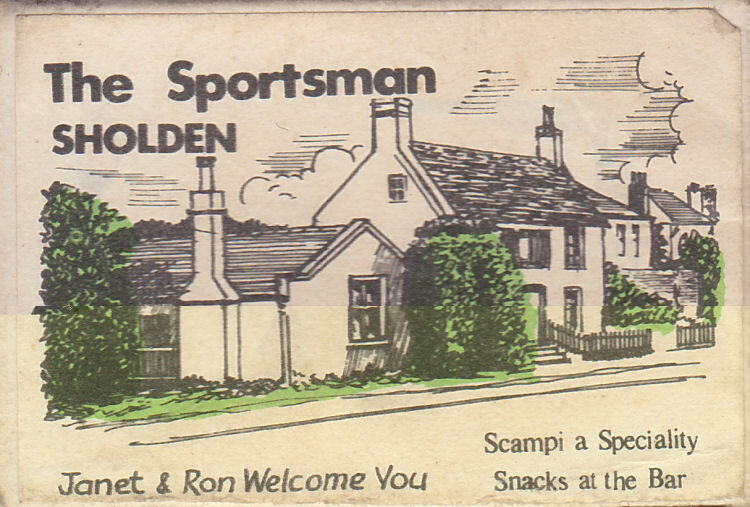 Above photo showing the "Sportsman" in 1952. Above matchbox, circa 1974, kindly sent by John Gladish. Other photographs by Paul Skelton, 17 July 2010. Above photo by courtesy of the Sportsman, date unknown. From an email received 15 May 2012. .... the registration plate on the car begins XO followed by 4 figures and these letters and configuration were issued only by the London County Council, between April and August 1923. At least you know the photo could not have been before then! Above photo taken from photograph hanging up inside pub add says the following:- "This super photograph of an outing leaving The Sportsman public house at Sholden, probably in the 1930s, has been uncovered by mine hosts thee:- Chris and Christine Liversidge. If any reader can recognise themselves they are invited to dine, with partner, as guests at The Sportsman. Contact Chris or Christine direct." Unfortunately, that was in 1983. This inn known by the name and sign of the "Sportsman" was built in part during the latter years of Charles II, in 1684. This original structure extends to the rear of the present edifice, which in itself was erected during the reign of George II, in 1758, and was refaced during the reign of Victoria in 1883. During the 1680s Sholden or Shoulden as it was then written, was made up of Manor Houses and clusters of cottages tied to those respected Manors. The Manor of Sholden claimed paramount over these smaller Manors. The inhabitants of the parish in 1700 were approximately 103, by 1801, it had risen to 238, by 1831, 356, and by 1841, five years after this house was licensed, there was 82 houses and 465 inhabitants. In 1703, there resided in this house, the family of Isaac Cadde, who is described as a cottager of the Manor of Sholden. His family consisted of his wife Nyomi and five children, though she had bore nine children in all, but as was usual of the times not all survived the perils of infancy. 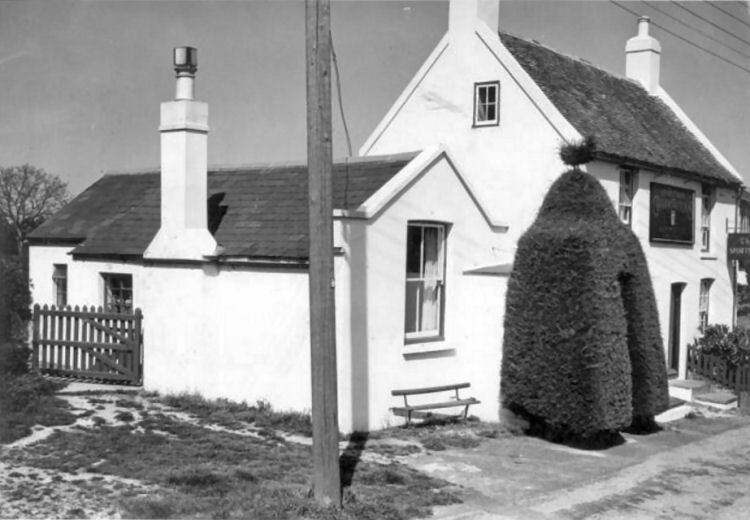 Isaac Cadde lived in this cottage tied to the Manor of Sholden between the years of 1703 and 1721, whereafter only the widow Cadde is recorded here with sons Jacob and Daniel, the latter is described as a farm labourer whilst Jacob is described as a woolstapler, which was one who measured wool. In 1746, only Daniel Cadd (spelt thus) is recorded here, and was still here in 1758, when the front of the present structure was built, and by 1760 had risen to the rank of land overseer to the Manor of Sholden. He died in 1766 whereafter one Samuel Wellard took up that position and lived here with his family. In 1784 one Thomas Holburn lived here and although he had filled the same role he is described as a farm bailiff. The house continued to be occupied by bailiffs or land stewards to the Manor for the remainder of the 18th century and for early of the 19th. In 1824, the Manor of Sholden gave up the house and it was sold to Mrs. Elizabeth Reynolds of the town of Sandwich. In 1834, the house was leased to Joseph Dewell, whose father William, some years before had been a farm bailiff to the Manor, and was the last person to occupy the house before it was split from the Manor. Joseph Dewell is described as a wheelwright, however in 1836, he obtained a beer licence under the terms of the 1830 beer act, which enabled any house holder of good character to obtain a licence to sell beer from a dwelling or tenement of rateable value, by merely paying the small sum of two guineas to the department of excise, thereby avoiding the necessity of applying to or being presented by Magistrates, who had no control over these beer houses, and frowned upon the act, because many chose their own hours of business, some remaining open all night. 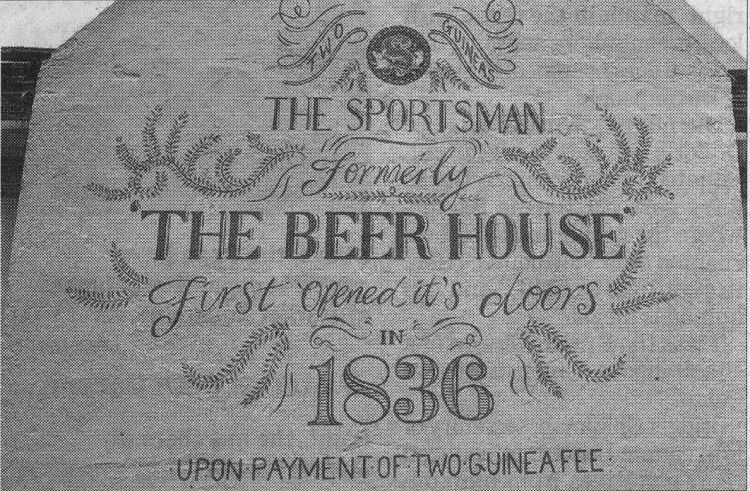 And so in August 1836, after paying his two guinea fee to the excise, Joseph Dewell opened the doors of this house and sold ale from it for the first time. The house at this date bore no title of registration other than that of a beer house in the Street, Sholden, and that the said Dewell, a wheelwright and now beer seller was of that house. Joseph Dewell kept the house until his death in 1861, whereafter his widow Eliza ran it for a further two years, giving it up in 1863, to Edward J. Cracker, whereafter her son Samuel took a lease on the house at Foul Mead, called the "Coach and Horses." Edward Cracker kept the house until 1887. In that year it was purchased by the Flint Brewery of St. Dunstans, Canterbury. They carried out alterations to the house, and upon the completion of these, leased it to George Henry Walker, a builder and plumber of Fisher Street, Sandwich. 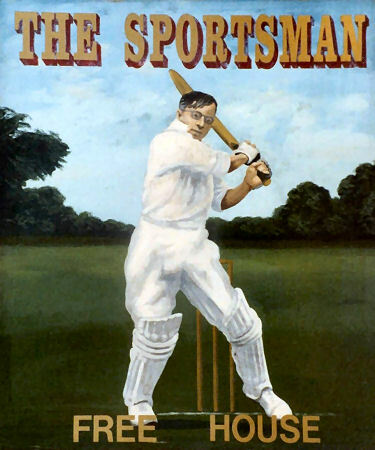 He was granted a full licence for the house which at the hearing he registered under the title of the "Sportsman." He kept the house till 1893, when he was succeeded by George Robert Mitchell, an innkeeper and marine store dealer of Dover, and he in 1896 by Edward Young, a boot and shoe maker of Ramsgate, who kept the "Sportsman" until 1902. In that year it was purchased by the Bass Brewers, who installed one William Emmett Reed, an inn keeper and tobacconist of Dover, as a tenant at an annual rent of 21 guineas. However Reed kept the house for only a short while until his death in 1905, when his widow Julia took over. She remarried in 1907 and became Mrs. Julia Marsh. She died in 1913, whereafter her husband George took over. He remarried and upon his death in 1926, his widow Elizabeth Ann took it for a year, as a widows lease. She was succeeded in 1927 by George Graby and he in 1932 by Albert Edward Cornwell, who stayed to many years to follow. In 1983, the Bass Charrington Brewery sold the "Sportsman" to Christopher William Liversidge, who was the owner and keeper who researched the above. This was the general licensing meeting, and authority was granted for the renewal of the licenses of all existing public houses. There were five applications for spirit licenses for houses which have not hitherto had them. Two only were granted and three refused. The following were refused:— Mr. Edward James Craker, the "Sportsman," Sholden. From the Deal, Walmer, and Sandwich Mercury, 26 April, 1873. On Tuesday last, T. T. Delasaux, Esq., Coroner for East Kent, held an inquest at the "Sportsman" public-house, Sholden, on the body of an old farmer named William Ladd, who had hung himself in his own bedroom on Sunday morning. Mr. Stephen Solley was chosen foreman of the Jury and the following gentlemen being also sworn:- J. Adkins, L. Baker, J. Brown, S. Capp, H. ??? ?, W. Lawrence, G. Palmer, R. Quaif, R. Sladden, ? Sladden, and R. Wellard. The body having been viewed, Louisa Ladd said: Deceased was my grandfather and aged 74 years. On Sunday morning last I went into his bedroom and found him hanging from the bedpost. I could not see by what he was suspended. I ran and told my father, who at once went up to the room. Stephen Ladd said: Deceased was my father, and has been living with me about 15 months. In consequence of what my daughter stated to me on Sunday morning last, I went into his bedroom and found him suspended to the bedpost by a piece of bed-rope. I cut him down and saw he was dead. He has been subject to fits for many years, and when he first came to live with me he attempted to hang himself to a cherry tree, but I prevented him, and afterwards cut down the tree. He has for a good length of time been in a deranged state. The Jury were unanimous in returning as their verdict - "That deceased hanged himself when in a state of mental derangement." The Licensing Sessions for the Dover district of the county was held at Dover on Thursday before Dr. Astley, Steriker Finnis Esq., Major Stevenson, F. Fortescue, Esq., and C. J. Plumptre, Esq. Application was made by George Henry Walker for a spirit license in addition to his present beer license that he already has at the “Sportsman Inn,” Sholden. Mr. Mowll made the application, and said there was no fully-licensed public-house within half-a-mile. There had been no complaint whatsoever of the house or the applicant, and it had been in the present hands for three years. From the Dover Express and East Kent News, Friday, 4 March, 1904. Price 1d. 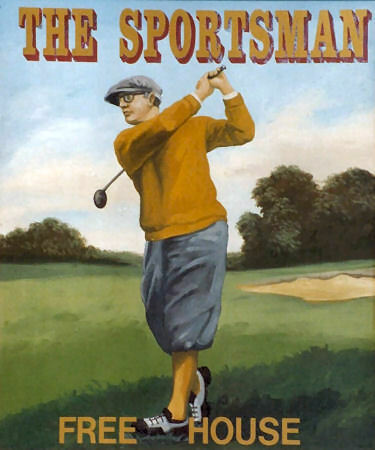 The license of the “Sportsman,” Sholden, was renewed to the administratrix of Mr. W. E. Reed, deceased. From the Dover Express and East Kent News, 26 January 1940. Gertrude Elizabeth Smith, "Sportsman," Inn, The Street, Sholden, was summonsed for showing light from her residence at 10.40 p.m. on 5t December. P.C. Ansell said that he saw a bright light coming from the front sitting room of the public house, but could get no answer from his knocks. Later defendant came along with her husband who had been recalled to the Colours. Defendant said that the light had come from the kitchen and the door of the sitting room must have been pushed open by the dog. Above photo when under the reign of Charingtons circa 1974. 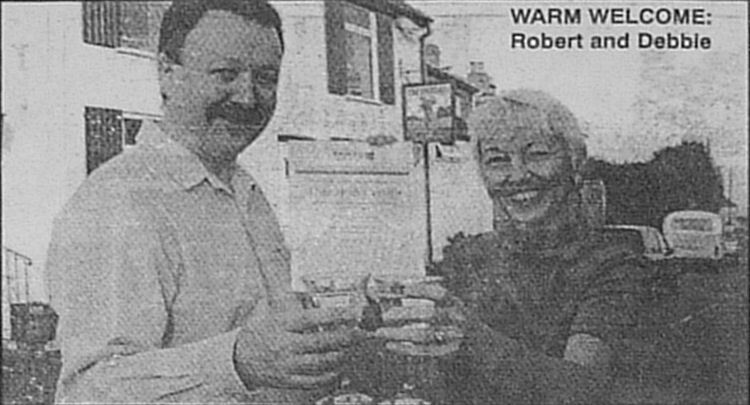 From the Dover Express, 17 December, 1998. 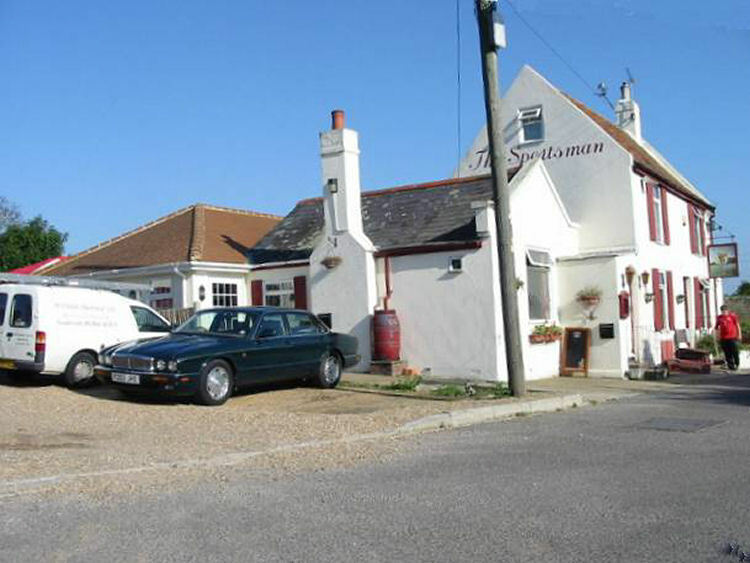 Tucked away in the little village of Sholden near Deal is the cosy Sportsman Inn which has won this year's award for the best pub in the Dover district for tourists. The 17th century former coaching inn has seen many changes over the years, but is still offering a warm welcome to visitors as it has done for more than 300 years. Today the low timbered ceiling of the bar, and the walls, sparkle with horse brasses and other memorabilia associated with the days the property was a blacksmiths. The owners are Robert and Debbie Grimson who have just been presented with their winners' certificate by the White Cliffs Country Tourism Association. It was presented by Phyllis Lear, a director of over company Eurosave, who is co-vice chairman of WCCTA. She and two other judges toured pubs throughout the district to find the best. The couple have been at "The Sportsman" for nearly five years and have greatly improved amenities. Robert, 45, from Newcastle, was working as a bar tender on a cruise liner when he met Debbie while she was a passenger on board. Debbie, a former Dover Grammar School girl, is the daughter of Joe and Pat Court of Kent Photos in Dover. Debbie went to St. Mary's School in Dover before progressing to the grammar schools. Her parents live a Shepherdswell. She was a television producer and in advertising before she and her husband took the pub. Debbie said: "I understand these premises, dating back to 1684, were a blacksmiths once, but travellers who stopped to have their horses shod, stayed on and it became a coaching inn." Since taking over, the couple have invested in bed and breakfast accommodation and have achieved a three crown, highly commended grading from the English Tourist Board. Runner-up was the "Park Inn," Ladywell, Dover. From the Dover Mercury, 22 October, 2015. Pub give a new lease of life. Refurbished Sportsman now has new menu. 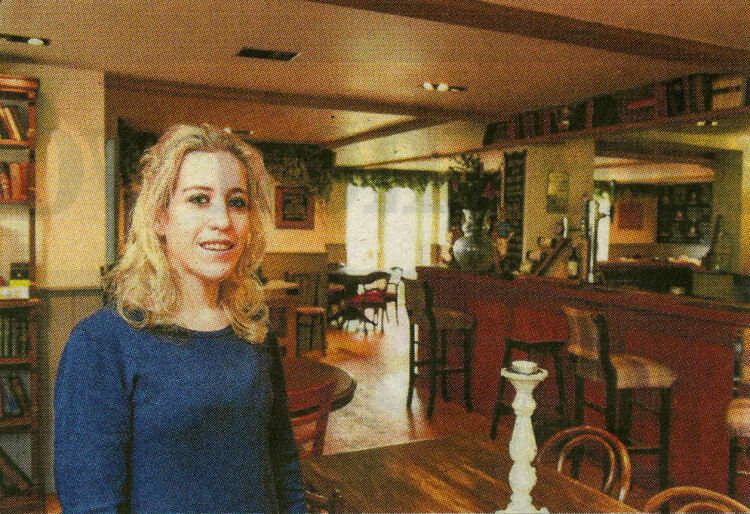 New landlady at the Sportsman Kate Coleman has refurbished the pub and has devised a new menu. A major renovation under new ownership signifies a new start for the "Sportsman" in Sholden. 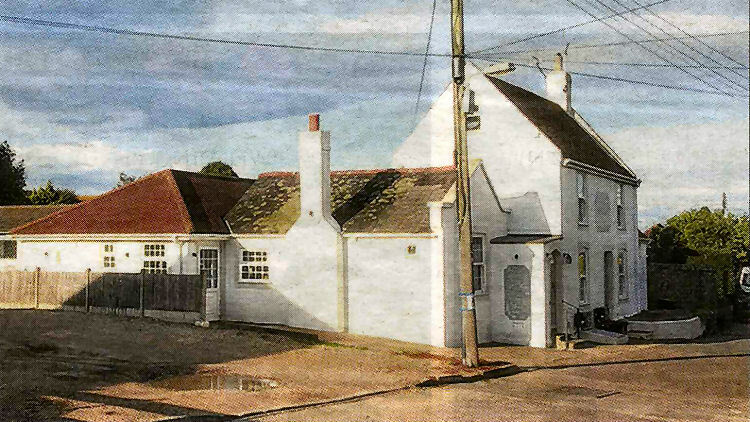 Landlady Kate Coleman has put her own stamp on the village pub in The Street, and after refurbishing the kitchen, she is excited about the pub’s prospects as an eatery. “We took over in January and did a massive renovation for four to five months. A wall that divided the pub and the function room has been knocked down, opening the space up into one welcoming venue that’s ideal for village locals and visiting diners to relax in. There is a new central bar, solid oak flooring has replaced a tired old swirly carpet, and dried hops and an open fire in the winter complete the look. The hard work doesn’t end there. A new menu has been devised, including an a la carte service and extensive bar menu. Warming pies and comforting deserts will be served in the coming weeks. 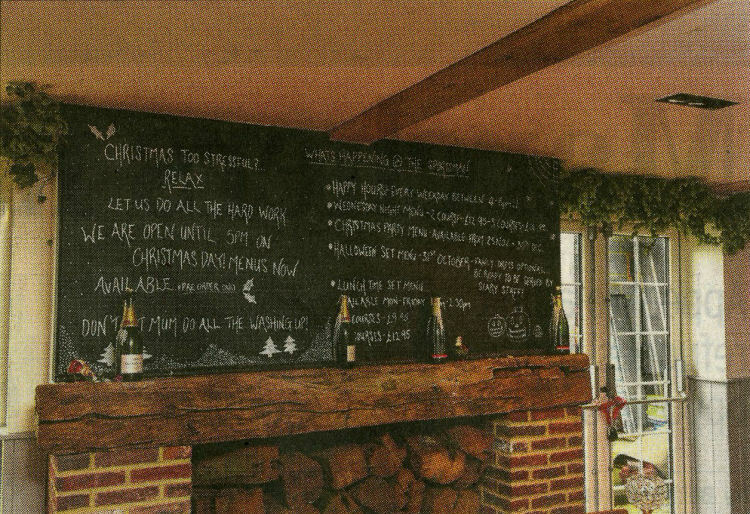 Bookings are being taken for Christmas lunch and festive gatherings at the Sportsman in Sholden. A Halloween party is planned for Saturday, October 31, from 7.30pm. All staff will be dressed up and a set meal can be booked. From the Dover Mercury, 29 November 2017. The Sportsman pub in Sholden is to go under the hammer. The sale, as previously reported in The Mercury, includes three associated chalets for letting as well as the car park and garden. It is among 163 lots listed by land and property auctioneers Clive Emson ahead of its next sale. The guide price of the complex is £275,000-plus, and the property could continue to be run as a pub/ restaurant. Kevin Gilbert, auctioneer, said: “This could continue as a business and there might be the possibility to develop the site as long as all necessary consents are obtainable. “It is an established business and would suit an entrepreneurial type. The Sportsman is just one of a number of properties featured in the December 11 auction. From the Dover Mercury,1 February 2018. By Sean Doherty. 3 eateries with infestations of vermin were told to shut. WHEN you are about to settle down to a meal in a restaurant, the last thing you want to consider is that the kitchen where the food was prepared has an infestation problem. But three businesses were ordered to close in 2017 and 2016 after inspectors found evidence of cockroaches and mice. A Hygiene Emergency Prohibition Notice can be issued when Food Standards officers think there is a serious risk of food contamination, whether due to poor equipment, maintenance, cleaning or structural condition. Officers can issue a notice instructing a business to immediately stop using their premises or equipment for a purpose specified in a report. Court orders can also be made stopping individuals from running a food business if they are found to have repeatedly failed to meet expected standards. Business owners can apply for certificate of satisfaction if they believe the health risk condition has been removed but those who do not comply with the notice can be fined and sent to prison for up to two years. During the last two years, two restaurants and one pub in Dover and Deal were issued notices demanding that they close. The Sportsman, which was in The Street, Sholden, was issued a closure notice on August 31 last year after an inspector found a mouse infestation on the premises.